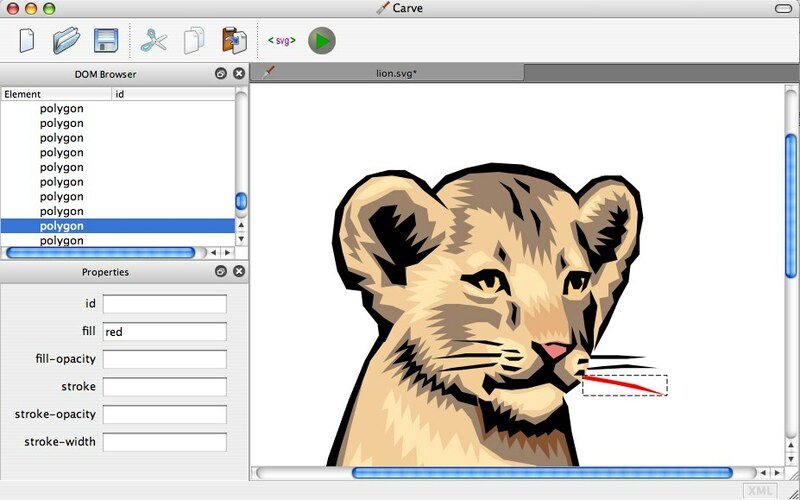 Carve is an open-source, cross-platform SVG editor built on Qt. Currently Carve uses Qt 4.5 Beta. 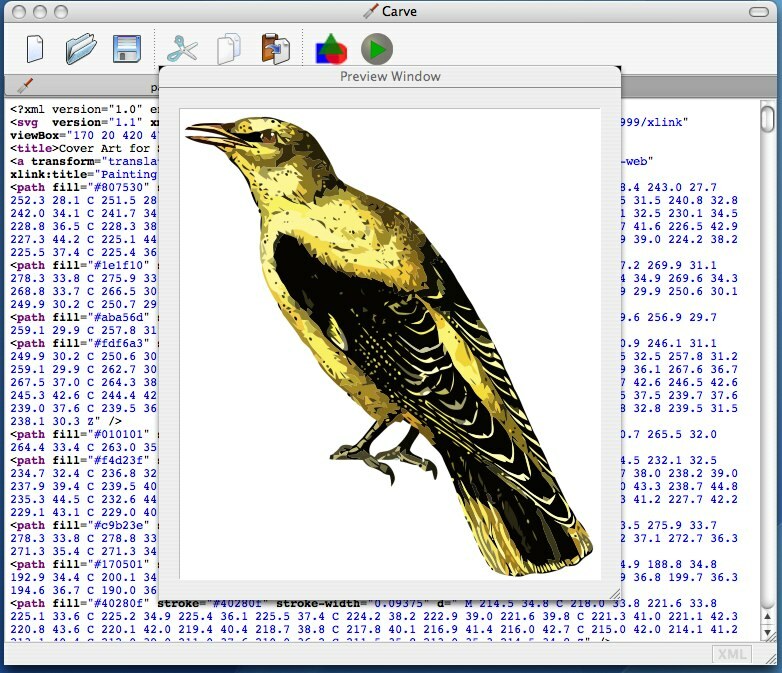 Carve includes an SVG-aware text editor, dockable DOM browser and Properties panels, a preview window and the beginnings of a graphical editing mode. The currently stable release is the Beryllium release (0.04) available for download now. The next release of Carve will be the Boron release (0.05). Carve will be released in a series of drops. Each drop will be named after an element from the periodic table of elements. For Developers or Users with questions, please visit the #carve IRC channel on freenode. "necessary for the optimal health of rats, nontoxic"
"brittle, light-weight, not known to be necessary or useful"
Visit the Carve History page for details on older releases of Carve. "soft, easily deformed, comparatively rare"
In addition, several UI-related bugs have been fixed. "colorless, odorless, tasteless, non-toxic, inert"
"colorless, odorless, tasteless, highly flammable"
Carve Hydrogen was the first functioning release of the Carve SVG Editor. It was released Dec 23rd, 2008 - just in time for Christmas. Carve Hydrogen was basically a crude text editor with the ability to open up multiple SVG documents and to preview them in a popup window.